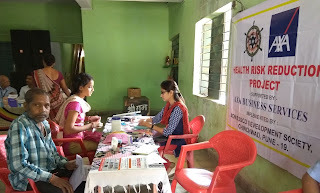 16-Jan-2018, Chinchwad (Pune): The Don Bosco Development Society (DBDS), Chinchwad organized a free health camp for the residents of Indira Nagar slum in which 103 patients were provided free medical examination and medicines in this camp. 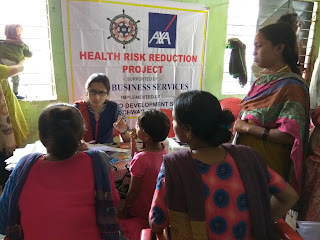 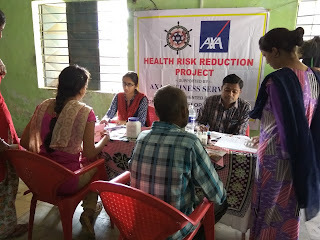 This health camp was held under the aegis of “Health Risk Reduction Project’ supported by AXA Business Services. 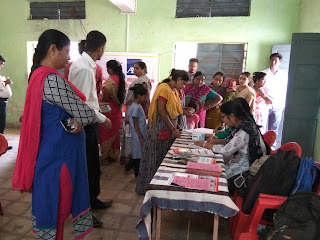 The camp was held in collaboration with Lokmanya Hospital, Chinchwad. 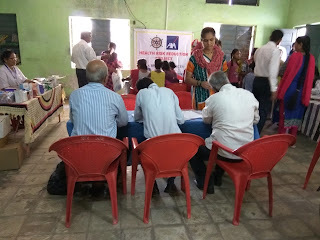 Dr. Vishal Kshirsagar (Asst. 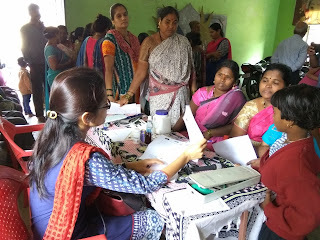 Medical Superintendent) Dr. Niyati Shaha, 2 Medical Social worker and qualified team examined the people during this health camp. 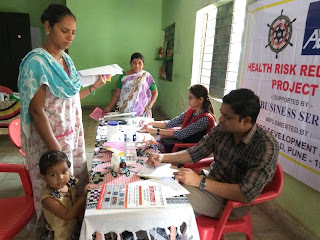 Patients underwent examinations such as Blood Pressure examination, Sugar level examination, skin examination etc. 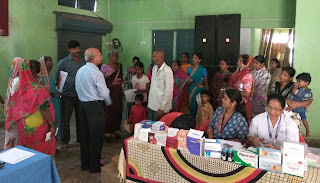 Mr. Gokhale took a lecture on Cancer and Mahatma Phule Jan Aarogya Jeevndayee Yojana. 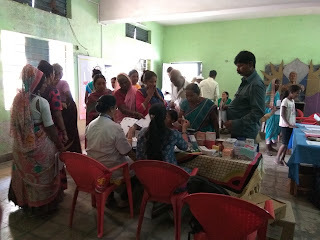 12 patients were also referred to Lokmanya Hospital for further treatment.